Why come to sofacraft well we believe in building solid robust sofas and chairs that will stand up to the abuse of a busy family home Wilst also providing comfort and style at affordable prices for this level of craftsmanship as we are not greedy . 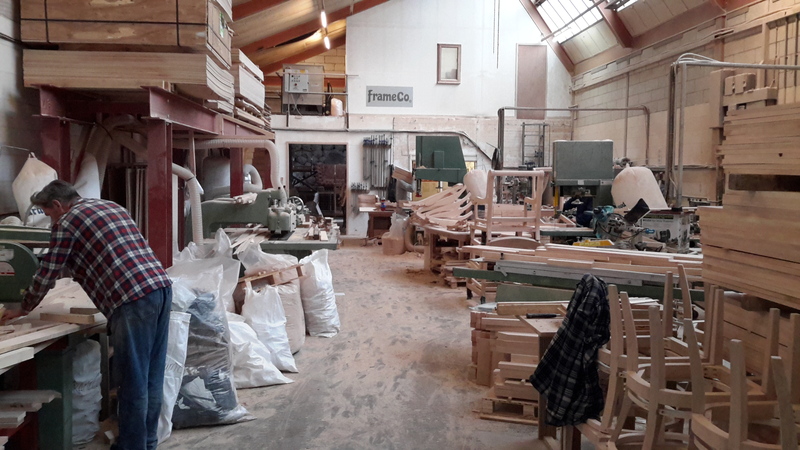 So we use kiln dried hard wood beech for our frames which we then glue and screw this takes much more time than a mass produced frame which is usually stapled together but is well worth the effort as you will see in own showroom we show off our frames . Now we have a solid structure we then use a very high grade elastic webbing which costs considerable more than traditional springs but will never need maintenance and won't let you down. We have a large range of very hard wearing fabrics with every style and taste accounted for. All of this cost's a lot more in labor and materials but is well worth the extra as your furniture will look and last for decades.